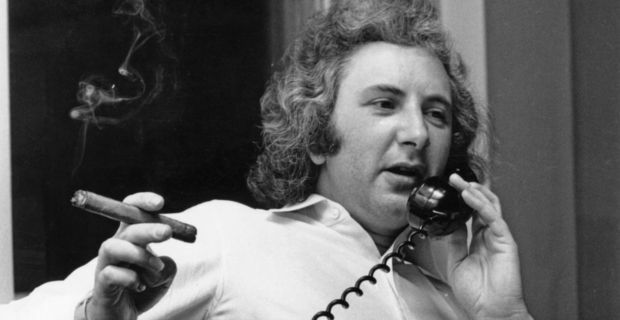 Michael Winner has had his last dinner. The action film director who reinvented himself as a grumpy and snobbish restaurant critic in his later years, has died aged 77 after several years struggling with various illnesses. In the 21st century Winner was probably best known for his "calm down dear" catchphrase in a series of advertisements for car insurance. Prime Minister David Cameron was so amused that he even used the phrase in the House of Commons. Winner began his career as a chronicler of the swinging 60s in London, although he enjoyed his biggest success in the 70s with the ultraviolent Death Wish action thrillers starring Charles Bronson. He told The Big Issue, "When I die I know the headline will be 'Death Wish director dies'". Critics were not big fans of Winner’s work, but the films were successes at the box office, encouraging the director to cultivate an image as an unashamed populist who despised fashion. He was very proud of Death Wish. "It’s the first film in the history of cinema where the hero kills other civilians," he said. "It had never been done before. Since then it has been the most copied film ever. Tarantino put it in his top ten films ever made." Reading the obituaries will be an interesting exercise as Winner had no shortage of people who found his boorish persona tiresome. He claimed it was mostly a joke. "If you create this comedy character of wealth and opulence swanning around, people hate you," he said in a 2010 interview with the Independent. "But the ones who hate me don't get me at all. They don't get the joke." He had a wide circle of showbiz friends including Roger Moore, Michael Caine, Joan Collins and John Cleese. "I have just heard the very sad news about Michael," Cleese said. "He was the dearest, kindest, funniest and most generous of friends. I shall miss him terribly."